Happy new year folks! Here’s my first review of 2018, for my last purchase in 2017. Note that I’ve titled this ‘reflections’ rather than ‘review’. 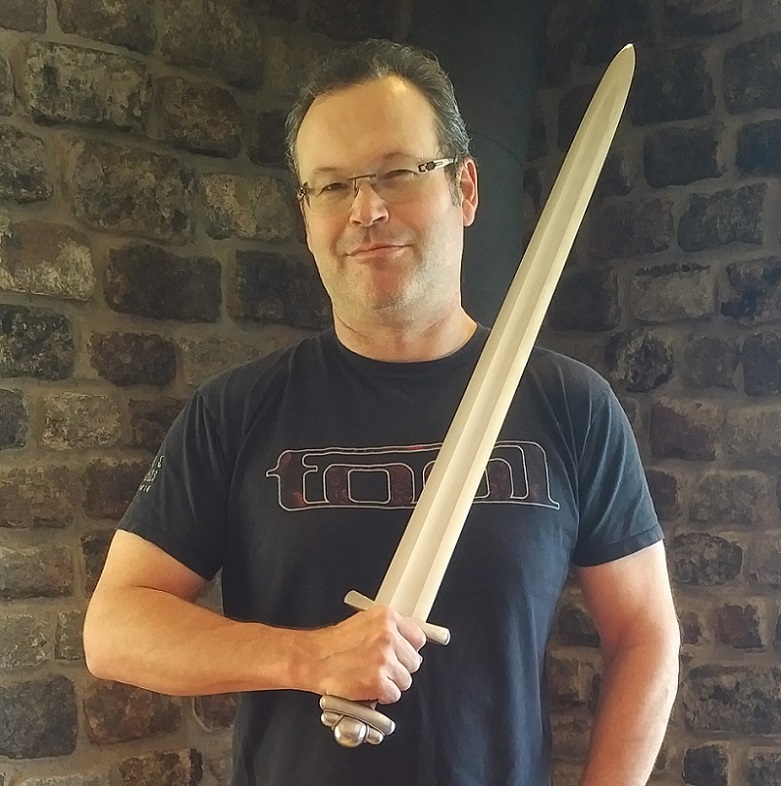 There will be review materials included in due course, but first I want to tell a more personal story in a conversational tone, as I would talk to a fellow sword geek. If you just want the review, skip ahead to ‘Huskarl Arrives’. 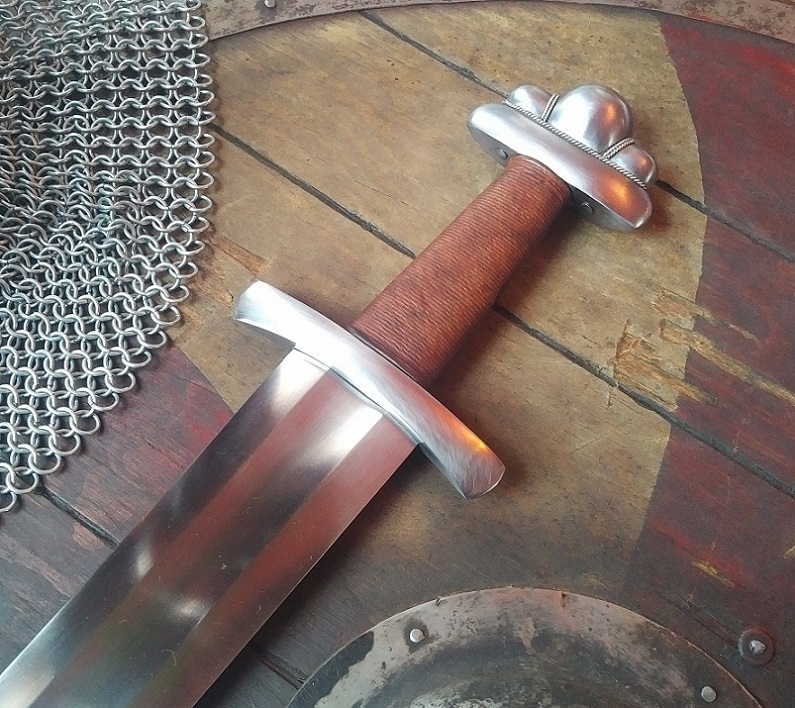 Although I’ve owned a number of Albion swords, and have written a number of sword reviews on this forum, I have never reviewed an Albion. Why not? First, because most people are already familiar with most Albions. Second, because there is so little variability in their level of design, production, and quality control. They are, without a doubt, at the top of the food chain when it comes to production swords. In short, there aren’t many surprises when it comes to Albions – you get what they advertise, and you get what you pay for. For my somewhat quirky sensibilities, that makes them less fun to review. 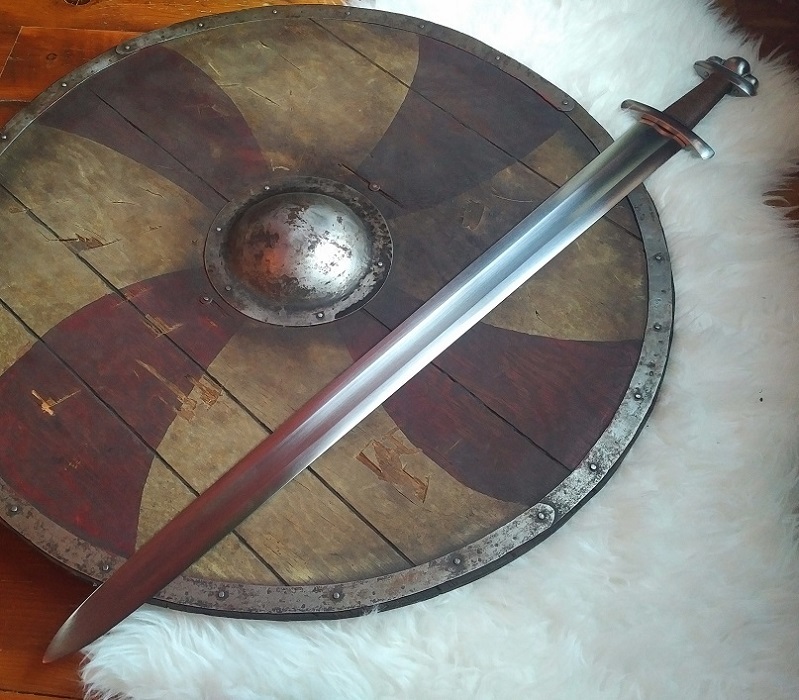 However, I did feel inspired to write about my recently purchased Huskarl, in part because of my own long journey leading to this purchase, and also because despite the Huskarl being around for quite a while, I think it’s been a bit underappreciated relative to other swords like their Valkyrie or Jarl. I’ve been a fan of Viking age history and swords for as long as I can remember. I buy every new popular history book that arrives at my bookstore, watch the movies, spend many hours poring over Ian Pearce’s work and other book niche books, and drool over swords in Museums (by the way, there’s a special Vikings exhibit going on at the ROM in Toronto right now). So naturally I bought a few Viking swords, along with a Viking helm, shield, and other accoutrements when I started collecting. But the swords were relative low-end, mostly Windlass. My move into higher end swords coincided with a growing obsession with longer Crusade-era swords, and I gradually sold off my Vikings, with the exception of some translational types, like a couple of Petersen AEs and several Oakeshott XIIs with M pommels. However, in the last couple of years I had a growing desire to own a classic, high quality Viking sword replica. (I confess, this was largely likely due to watching ‘Vikings’ on TV, and wishing I had a period sword sitting by my side.) My first move was to trade my Albion St. Maurice for a Jarl. The Jarl seemed like the best bet because it is obviously beautiful, handles well, and fits well with my transitional British swords. But as things sometimes go, this was not the sword for me. It was just a bit too ‘delectate’ for my taste, in terms of the hilt structure, blade profile, and handling. I like me a big meaty sword with lots of blade presence. So I traded the Jarl away for another Albion (that’s another story). In the meantime, I started looking at the Albion Huskarl. I couldn’t find much commentary on this one. There’s no review here that I could find. The review on SBG is positive but brief, mainly repeating material from Albion’s site. But according to available information it is a bit longer and a bit heavier than the Jarl, with less profile taper and a more bulky pommel, which sounded like what I was looking for. And KoH’s YouTube review made it look very attractive. I was also attracted by Albion’s mention that it could be a Swedish variation of its type (being Swedish on my mother’s side). So when one suddenly became available at KoH last month, I sold off some other swords and went for it. This is amongst the largest and most robust of Albion’s true Viking sword types and certainly looks the part. The relatively long, wide blade, bulbous pommel, and sizeable grip combine to announce an imposing sword. The style and proportions are simple and pleasing to the eye. The grip was advertised as light brown, but actually looks more medium brown (and not ‘campaign worn’) compared to other Albion’s I’ve seen. I like the fairly plain grip style…I’m not fond of the center riser used on the Jarl and several other Albions. Peter Johnson calls this a Petersen type ‘S’ but with slightly curved upper/lower guards, and mentions inspiration from English and Swedish types. I have shown the hilt below (right) next to the Chertsey Viking sword (Left; one of two type S’s found in England), and another sword said to be from South-East Sweden. There is certainly a resemblance. One might venture to guess that Peter used the pommel from the English sword and the guards from the Swedish sword. Good taste, I would say. There’s no doubt as to what kind of sword this is…classic Viking sword for a Northern Pagan. Blade: Oakeshott X (Seems borderline Geibig 2/3), flat lenticular. Weight: 2 lbs 11.5 Oz. Blade width: 2 3/16” at guard, 1 3/4” at optimal striking point. Blade thickness: ~4mm at cross, ~3mm at optimal striking point, ~2mm at end of fuller with rapid taper to tip (convex distal taper). Edge: single bevel, very sharp, not quite razor. Grip 3 ¾” (flatted oval 1 7/16” x 9/16” at cross). Optimal Striking point (distal harmonic node): 12” from tip. Proximal harmonic node: right at cross/lower guard. If you’re like me and appreciate robust cutting swords, this sword has very pleasing handling characteristics. Stats don’t lie: there’s plenty of blade presence here, but it does not feel pendulous and can be swung at whistle-yielding speeds. The wide, slightly flattened grip provides excellent indexing (I learned that word from ‘Forged in Fire’), i.e., it’s easy to control the plane of the blade and know where the edge is. The upper and lower guard bracket the hand comfortably and, along with the grip length/pommel design, work very well for both hammer and handshake grip, with easy grip transitions as one moves between guard positions. This is by no means a fencing sword and is not especially thrust-friendly, but it’s reasonably stiff and has a good point. I have no intentions of damaging such an expensive sword with test cutting, but given the stats and the above observations one would expect it to cut like a demon for medium gauge targets and penetrate on the thrust as well as one could expect from a Viking sword. It certainly fulfills all my expectations for a Viking ‘shield breaker’ that one could also use comfortably and to deadly effect for a good long time on the battlefield or holmganga. Well, it’s an Albion, so what do you expect? Everything shaped with perfect symmetry and economy of form, tight as drum, even finish, and it even rings like a bell. A highlight is the historically accurate two-piece riveted pommel / upper guard with integral wire wrappings. It’s not ‘perfect’ though. There are some tiny fleck marks along the fuller, as if blasted by very fine sand. And one can see what looks like grind angles from shaping the centre bulb of the pommel (unlike my Tritonia’s pommel, which is round as a ball bearing). Thank goodness…human hands were involved in making this! This is, as I have said, a classic Viking sword, and an understated beauty in its starkly brutal design. After a long search for the right sword of this type, I think this comes as close as one is likely to find to a perfect example in a production sword. I look forward to handling it for years, purchasing an appropriate scabbard, and cozying up with the pair for future episodes of ‘Vikings’. Great pics. I owned a Jarl once and liked it but never loved it, I think for the same reasons you mentioned. Since trading it away I was fortunate enough to handle a Huskarl which I did like more. It is beefier for sure. I also have a squire line Clontarf which I adore... Great bang for your buck that sword, also somewhat beefy, but still handles great. Right into my hands, and now it's happily settled in sweden. I'm not knocking Jarl, it's a beauty and very user friendly, but some of us prefer a slightly beefier sword. For us, Huskarl is a good option. Interesting that it only has 25% distal taper. I think a convex distal taper is necessary in a type X to maintain rigidity, while reducing weight toward tip. The fuller does the main job of mass reduction along most of the blade. The opposite would be a short-fuller XIII, where one needs a concave distal taper to reduce mass along the much longer fuller-less portion of the blade. Thank you for the reflection J.D. I have started to get the itch to add either a Viking sword or something that will fit in towards the end of the 14th century or so. I was looking at the Jarl but find your comments on it interesting and will take them into account before making a decision. That mirrors my state of affairs Scott. I started out collecting anything European 800-1600, but then about 10 yrs ago narrowed to 1100-1300 to focus. Now I find myself needing to branch out a bit again in order to keep moving forward. I started out in the 1200-1300 time frame as my focus on weapons and have decided that I would like weapons from outside of that time frame now. Your reflection on the Huskarl is good for me since I know that you prefer meaty wide blades like I do. This is indeed a nice sword. Too heavy for my tastes. I can't really see this being a primary weapon because of the cost to a Viking. It all so would have been a huge undertaking to make because of the amount of steel used to make it. The cost would have been huge. I like my Albion thegn. I feel it was a much more realistic sword and build and a size. It is wickedly fast and in a battle after my spear was broken or ax broken it would be the perfect size to wield after near exhaustion. Keep your nose in the Wind and your eye on the skyline. I'm also a huge fan of the Thegn and don't doubt it would be lightning quick. I'd like own one in the future but for now wanted a bigger sword. I think personal taste depends on a lot of factors, including practice. 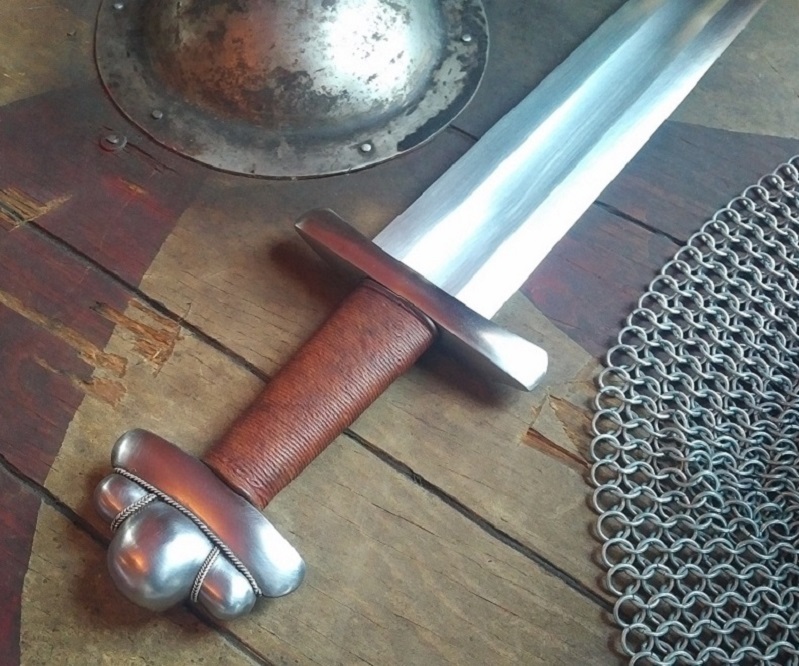 There was a time, for years, when I spent an hour a day doing drills with larger, heavier (3+ lbs) crusader swords and never felt worn out, but now I'm 54 and the joints and muscles are not quite what they used to be. So for me, the Huskarl is already downsizing. Which remind me, last night I watched a documentary called 'Born Strong' about the 400 lb + guys who compete to be world's strongest man. Watched a British guy dead lift 1100 lbs with blood pouring out of his nose, and a couple of other guys lift 300 lbs over their head..with one hand! Its amazing what people can do with the right genes and training. I guess Vikings and Anglo-Saxons had as divers taste and builds as we do, because the Chertsey sword pictured above was even larger than the Huskarl, and other Viking swords were bigger still...some over 4 lbs.